Peyo was born 22 years ago in Kibish, a small town near where the borders of Kenya, Ethiopia and South Sudan meet. As a boy, he herded goats, later attending primary school in Turkana, where he'd run barefoot across plains of thick grass. “Attending primary school far away from your parents isn’t a walk in the park,” Peyo recalls. After secondary school, he hustled to earn a living. Eventually, he was lucky enough to be awarded a full scholarship to study economics and mathematics at Kabarak University. There, he found a sanctuary – plenty of food and comfort, and he was easily able to get a part-time job to support his two younger brothers. “They used to come and stay with me over the holiday," Peyo says. "Back then, it was heaven for all of us, knowing our background." During his upbringing in Kibish, Peyo witnessed firsthand the effects of conflict. His life was characterized by constant tribal feuds in southern Ethiopia and northwest Kenya. Memories of all of his agemates who he played with during childhood have been erased by conflict. “I have lost over 30 agemates in this Turkana-Nyangatong conflict," he says. But nothing affected him like the death of his older brother, Lokolong. Lokolong was 20 when he was killed in Kibish. To Peyo, he was not only an elder brother but also a close friend and confidant. Peyo followed his older brother almost everywhere. Peyo’s mother was equally affected by Lokolong's death. She left Kibish to stay in Naipa, on the Ethiopian side of the border. With pain in her heart, she never returned to Kibish. After Peyo married in 2011, he and his wife had a son, who they named Lokolong. It wasn't the only way Peyo sought to honor his brother. After graduating from university, Peyo decided to dedicate his life to helping his community and others from border towns to live harmoniously and embrace peace. Today, he is the local contact person for Pact, working with Peace and Development Center, a Pact partner through the SEEK project. In southern Ethiopia and northwest Kenya, Peyo is the man both government and local leaders rely on for conflict management and information. He has developed a large network and has earned the trust of most communities along the borders of Kenya, South Sudan and Ethiopia. His soft-spoken approach to delicate issues and his mastery of local conflict psychology has earned him a name. The security services of both Ethiopia and Kenya trust Peyo to handle conflict-related issues such as fighting over pasture and water points. Peyo speaks more than seven languages, including English, Swahili, Arabic and all local dialects. This has allowed him to communicate with and bring together different groups during conflict mediation and peacebuilding efforts. “I am grateful to be a peace ambassador,” Peyo says. 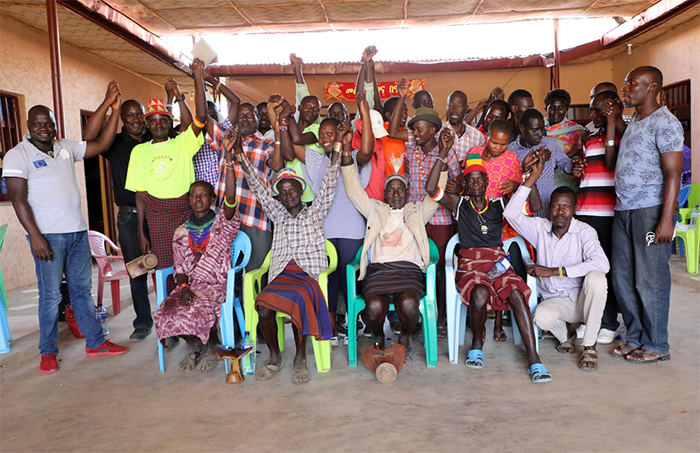 If the young men of Kibish who engage in violence and killings – both Turkanas and Nyangatoms – are given opportunities for a second chance, there would be many ‘Peyos’ in their communities, Peyo believes. They are all human beings who would choose peace over conflict, he says.